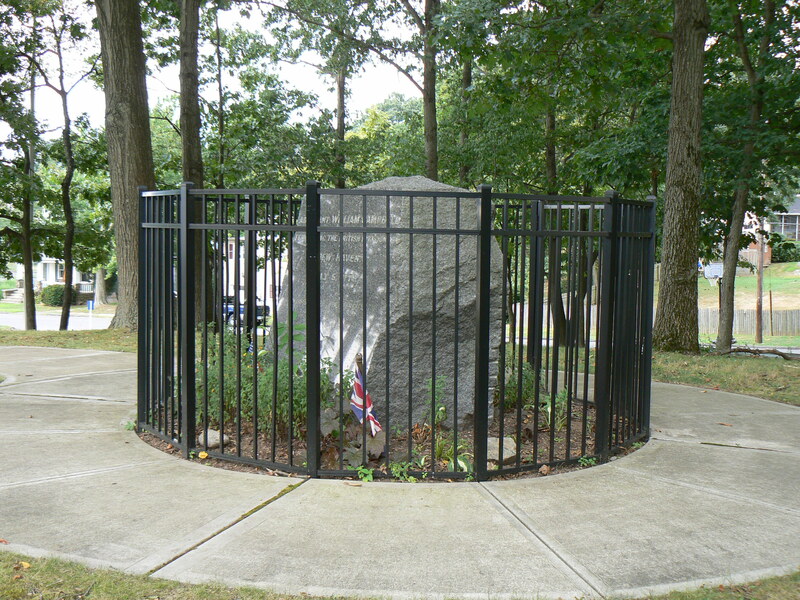 UPDATE (Sept. 2010) — The West Haven Historical Society has canceled efforts to sell the Campbell monument site. We’ve revised the post to remove references to a potential sale. 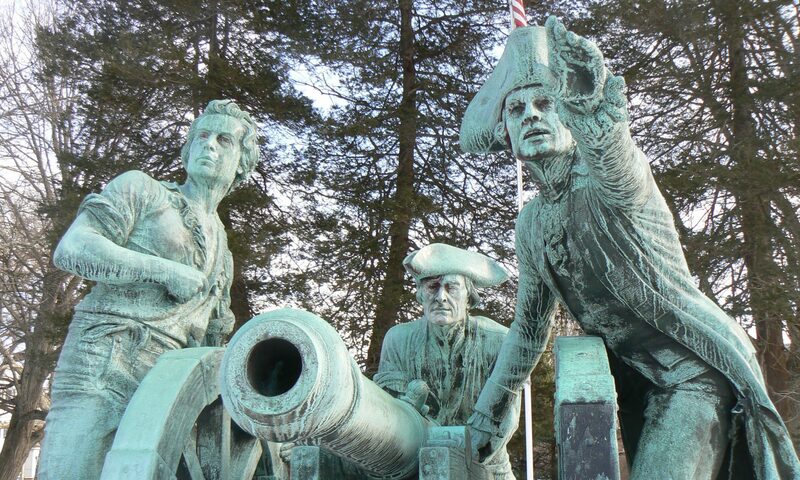 A monument in West Haven honors British adjutant who spared the life of a local minister during the American Revolution. 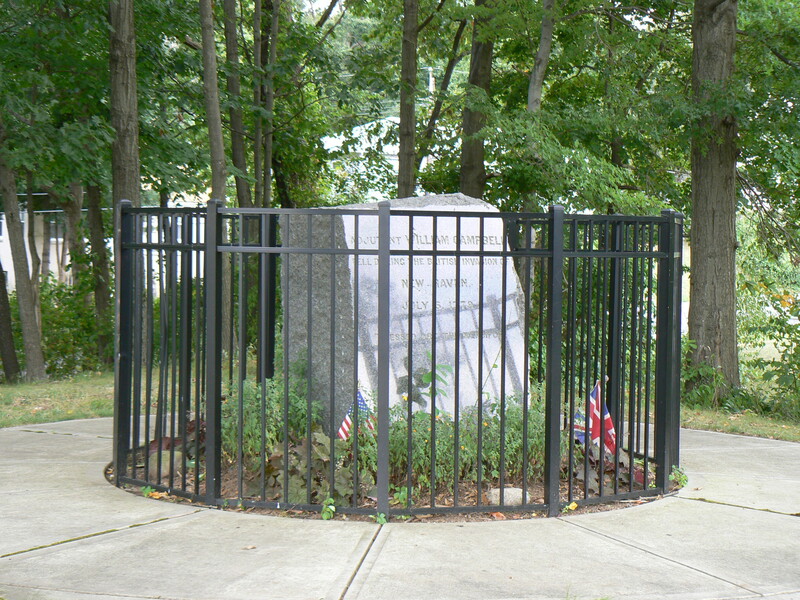 The William Campbell monument stands in a small park just north of the Boston Post Road, between Wade and Pruden Streets. The site is owned by the West Haven Historical Society. 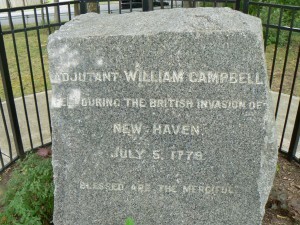 The site today features an 1891 monument that, depending on which account you read, marks the approximate location of where William Campbell was killed during the British invasion of New Haven in 1779, or was buried after the battle. 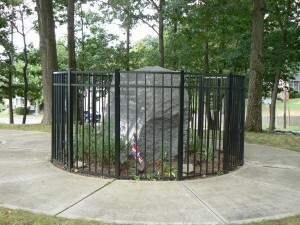 The site is surrounded by a metal fence, and the monument is decorated with American and British flags. During the invasion, Campbell (for whom Campbell Avenue is named) spared the life of a local minister who broke a leg while fleeing from British forces with documents. Campbell ordered troops not to kill the civilian, and Campbell was killed later that day. According to Peter J. Malia’s excellent history of West Haven, Visible Saints, West Haven, Connecticut, 1648 – 1798 (affiliate link), Campbell’s burial site was unmarked until 1831, when a small headstone was placed on a location identified by a witness to the burial 52 years later. The headstone was later stolen by relic hunters and replaced with the 1891 memorial. A sign at the monument site indicating the monument marks Campbell’s burial site is a bit optimistic, since the original grave has been lost to history. The site has been examined with ground penetrating radar, and no remains were found under the monument. The site was maintained by the New Haven Colonial Society until 1977, when it was deeded to the West Haven Historical Society. Previous PostPrevious State Birthplace Monument, White Plains, N.Y.